New computing architectures are changing industrial applications, impacting the way measurements are made, data is collected, and how it all gets processed. The Internet of Things (IoT) continues to influence how industrial systems are designed and built. The core of IoT systems is the collection of data at the device level and either processing it or sending it elsewhere for further processing. The next stage in this evolution is the move to edge and fog computing models. Both of these models move computing functions closer to the device itself rather than offloading computation to an external controller. (See box on basic definitions.) It’s a convergence between several areas of technology, only now is the infrastructure in place and the technology available and the knowledge there to put it all together. In one sense, the trend toward edge computing is not such a foreign idea. This is because the controls industry is already well versed in this sort of architecture. For instance, historically de facto control architectures were so-called central control. In this scheme, all control data and inputs from feedback devices and outputs were sent to a central controller that did all the calculations and then sent outputs or initiating actions back out to the component level. A different type of control architecture gradually arose which challenged this central scheme. Known as distributed control, this type of architecture pushed some control and calculation functions out closer to the actual devices being controlled. This put less burden on central controllers and meant that systems could be more responsive to changing conditions at the control site itself, rather than have to rely on central processing and the associated time delays. Both fog and edge computing and related industrial IoT (IIoT) are changing many industrial areas linking them up with higher enterprise IT functions and allowing for more precise control over manufacturing processes. Recent moves highlight the growing connectivity between edge and fog computing and the IIoT and their influence on one another and the larger industrial world. For instance, one group working to raise awareness of this next wave in industrial automation is the Industrial Internet Consortium (IIC), together with the OpenFog Consortium. In fact, the two trade groups merged recently to form the largest international consortia for IIoT, fog, and edge computing. The move will bring OpenFog members into the IIC organization at a time when their complementary areas of technology are emerging in the mainstream. The combined memberships continue to drive the momentum of the industrial internet including the development and promotion of industry guidance and best practices for fog and edge computing. The organizations expect the details to be finalized in early 2019. The Industrial Internet Consortium together with the incorporated OpenFog will be the largest organization focused on IIoT, AI, fog and edge computing in the world with members from over 30 countries around the world. The Industrial Internet Consortium is the world’s leading membership program by accelerating the Industrial Internet of Things. The OpenFog Consortium was founded to advance fog computing and address bandwidth, latency and communications challenges associated with IoT, 5G and AI applications. Meanwhile, manufacturers are developing new products and devices and offering services to aide companies in taking advantage of these new computing developments. One company pushing the boundaries of edge computing is Opto 22. The company’s groov EPIC series of control products claims to be the world’s first edge programmable industrial controller. The new groov EPIC series allows designers to collect, process, view and exchange data where it’s produced, at a network’s edge, thus bypassing issues of data latency and network speed limitations. The groov EPIC (Edge Programmable Industrial Controller) system from Opto 22 includes a chassis and power supply together with a processor and software. Individual I/O modules provide a mix of analog and discrete signals for edge computing applications. Data can be securely shared among databases, cloud platforms, web services, PLC systems and other systems via typical network standards. It allows data to be moved around efficiently, decreasing network load and reducing reliance on IT. Data can also be visualized on the controller’s integral touch-screen, an external monitor, or from any web browser or mobile device. The system can be programmed using the flowchart based control language known as PAC Control. Other options include using the IEC 61131-3 compliant CODESYS Development System and CODESYS runtime. Here, data can be exchanged using the visual, flow-based editor and runtime Node-RED, with its free pre-built nodes for databases, web services, and more. There’s also the capability to run custom-developed C, C++, Java, Python, or other custom-developed applications on an open, Linux-based automation system, using secure shell access. The controller features an integral touch-screen for local configuration, commissioning, and troubleshooting with no PC required. It also uses a real-time, open-source Linux operating system, multi-tasking real-time control engine and a dual independent Gigabit Ethernet network interface to help securely segment the control network from the business network. Cloud. Edge. Fog. What do these terms mean? And what do they have to do with computing and measurement data in industrial systems? Cloud is probably the most familiar term and refers to both software and services that run on the internet instead of on a local computer. Most people are familiar with cloud services such as Google Drive or Apple’s iCloud. The advantage of cloud computing is that it makes data accessible from any internet-connected device. Edge computing takes its name from the ability to process data at the “edge” of a network; that is, locally at the device level instead of collecting it and sending it across a network for further processing. This lessens the strain on network resources and decreases data latency issues. Fog computing is often times confused with edge computing as being pretty much the same thing, but there are important differences. The biggest difference is that fog architecture resides between the device level (edge) and the cloud and pools together individual edge components into a single fog node. Individual fog nodes can be industrial controllers, PLCs, switches, routers, and even intelligent IoT devices themselves. Other offerings simplify the link between plant floor and larger enterprise IT systems. For instance, Hewlett Packard Enterprise’s (HPE) HPE Edgeline Converged Edge System solutions speeds the deployment and simplifies the management of edge applications, letting engineers act on the vast amounts of data generated by machines, assets and sensors from edge to cloud. Based on an open platform, enterprises can seamlessly integrate a broad ecosystem of applications and operational technology (OT) devices for edge deployments – driving efficiency and innovation in industries like manufacturing, energy, and telecommunications. The new solutions consist of four components; HPE Edgeline OT Link Platform, HPE Edgeline systems management, HPE Edgeline EL300 Converged Edge System, and HPE Edgeline Field Application Engineering Services. The HPE Edgeline OT Link Platform software is an open workflow engine and application catalogue that allows for the orchestrating of components, data and applications via a graphical drag-and-drop user interface. The software integrates an ecosystem of third-party applications running from edge to cloud – including AWS, Google, Microsoft, SAP, PTC, GE, and more – to make insights from the edge available across the enterprise and supply chain. Together with HPE Edgeline OT Link certified modules, HPE-developed adapters connect to a broad range of OT systems, enabling bi-directional, time-sensitive and deterministic control and communication, including high-speed digital input/output, CAN bus, Modbus or Profinet. The HPE Edgeline Integrated System Manager is embedded into HPE Edgeline Converged Edge Systems and features one-click provisioning, ongoing system health management, remote updates and management even with intermittent wired and wireless connections. It also supports advanced security functions like preventing system boot file changes and remote system disablement during a security event. The HPE Edgeline EL300 Converged Edge System is a fan-less, low-energy system equipped with Intel Core i5 processors, up to 32GB of memory and 3TB of storage. It will also support Intel Movidius Myriad X vision processing units to enable video analytics and AI inference at the edge. It provides enhanced resiliency against shock, vibration, humidity and dust, including IP50 and MIL-SPEC certifications, and can operate from –30 to +70 ˚C. These features make it suitable for use as an embedded system, for example, in production machines. Lastly, the HPE Edgeline Field Application Services help designers plan, design, build and run IoT, edge and cyber-physical systems to accelerate deployment and ensure reliable and secure operation. These services include the evaluation of use cases, proof of value, solution deployment and management of ongoing operations. The inexpensive ELM314x economy line of measurement modules from Beckhoff with 1 ksps sampling expands the possible range of high-end measurement applications. On the high precision measurement end, Beckhoff Automation offers a new, lower cost measurement module with accuracy of 100 ppm. The company has extended its EtherCAT measurement module portfolio with the new ELM314x economy line, supplementing the established ELM3x0x line with a lower cost 1 ksps (kilo samples per second) class. This I/O system expansion simplifies the use of system-integrated precision measurement technology, which taps significant optimization and efficiency potentials both in production machines and for inline test benches. The new modules are available in two, four, six and eight-channel versions. High-precision measurements with an accuracy of 100 ppm are possible over a wide temperature range from 10 to 40 °C. Each channel in the measurement modules can be set to current or voltage measurements with a sampling rate of up to 1 ksps per channel. Analog signals can be processed in ranges from ± 1.25 to ±10 V, 0 to 10 V, ±20 mA or 0/4 to 20 mA. The new economy line offers considerably reduced channel costs, but provides the same wide range of functions as the ELM3x0x line. 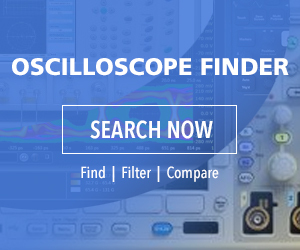 These include freely adjustable two-stage filters, oversampling, distributed clocks, true RMS and scaler functions. The extensive diagnostic features for unattended, long-term use familiar from the ELM3x0x line are also implemented. Sampling at 1 ksps per channel is suitable for a wide range of applications. In particular, the processes of moving machine components or the final inspection stage of inline test benches can be optimally mapped with the economy line in order to reliably control the processes. Typical examples include part geometry measurement on the fly, as well as fast yet highly precise weighing procedures, such as in bottling plants. In general, the ELM314x EtherCAT measurement modules are ideal for recording data from 10 V/20 mA sensors and for feeding real-time information directly back into the process. The speed, reliability and accuracy of production and test processes can be increased significantly with these insights. Efficient data logging for subsequent process analysis and optimization is also just as easy. If increased requirements necessitate higher sampling rates, the ELM3x0x measurement modules with up to 50 ksps can be used instead. These are suitable for vibration measurement on fast-running machines in order to implement active vibration compensation or predictive maintenance, for example.